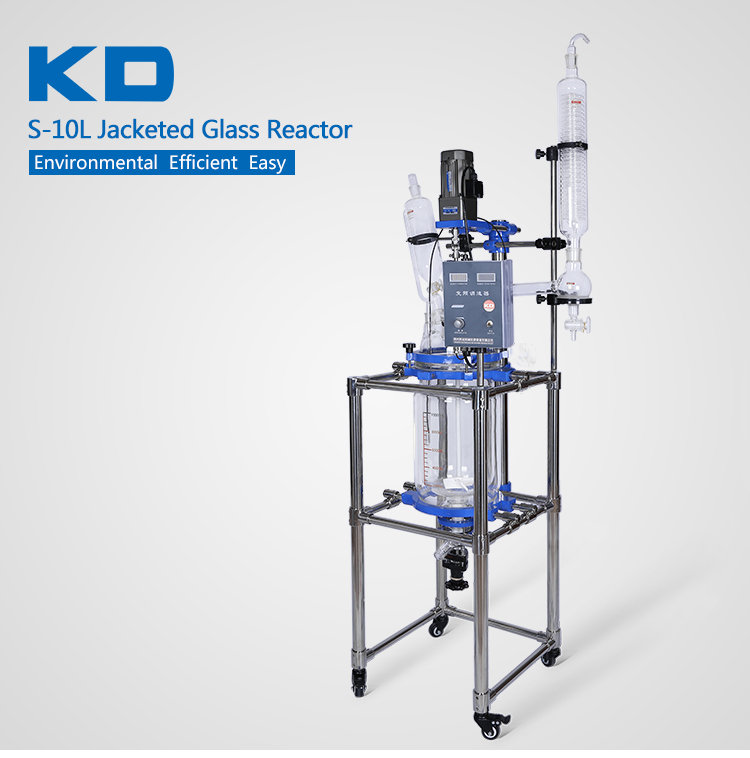 Jacketed glass reactor is used for stirring reaction under negetive or vacuum pressure condition and different required temperature. 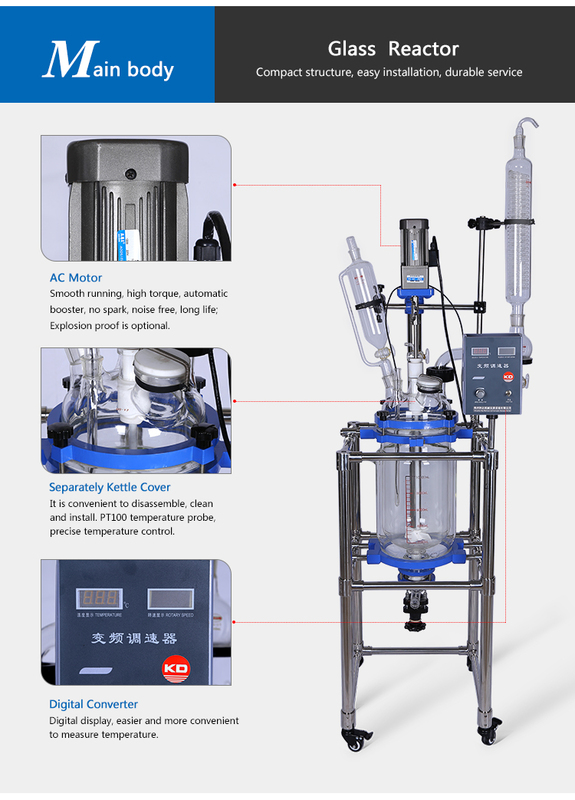 Solvent is set in the inner layer of double-layer glass reaction kettle, at the same time, vacuum can be taken out and mixing speed be adjusted. 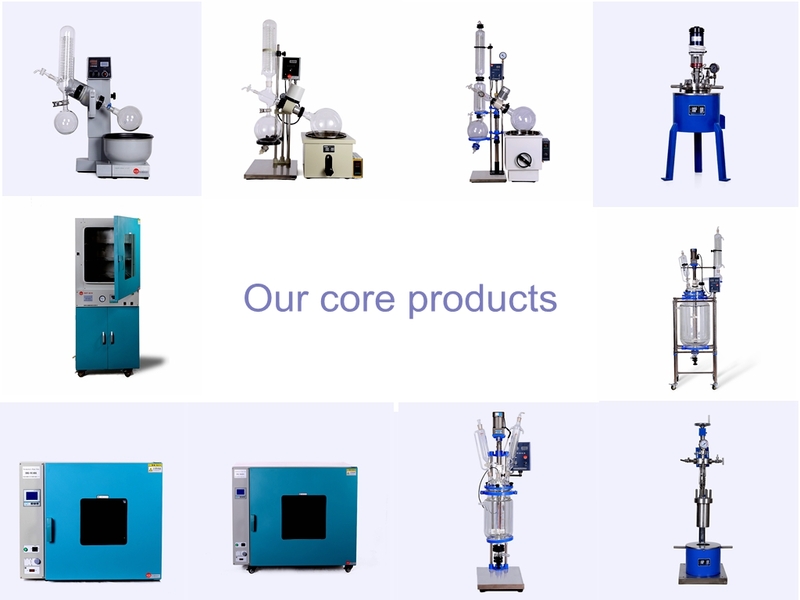 Interlayer can lead in refrigerating fluid, water and high temperature liquid to heat and cool the materials. 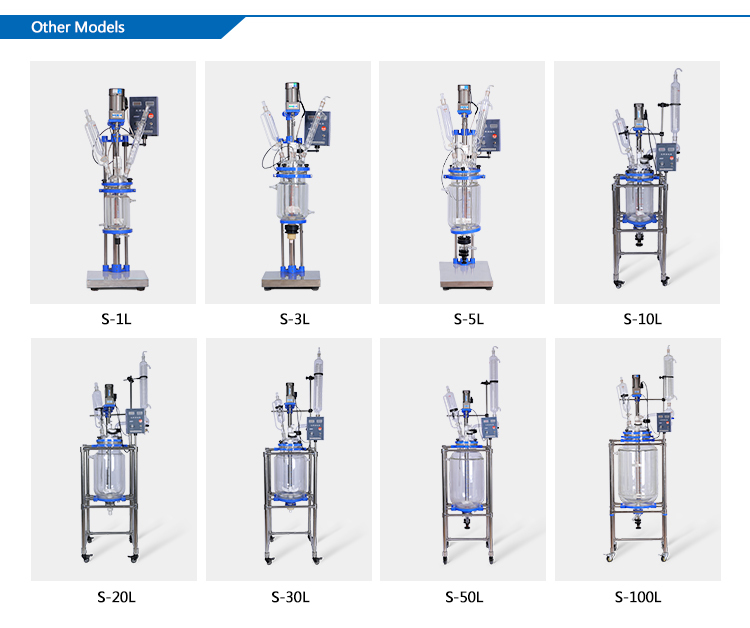 It can be used in the experiment, middle-scale test, and production of chemistry, fine chemical engineering, biological pharmacy and synthesis of new materials. Constant Speed, Pressure and Temperature. Frequency control speed gear motor, smooth running. High torque, no spark,noise free, long life. 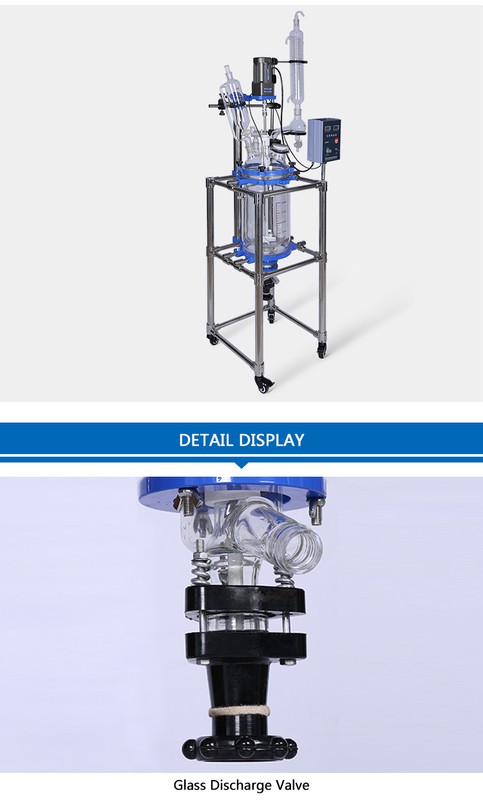 The cover is easy to disassemble, clean and install. 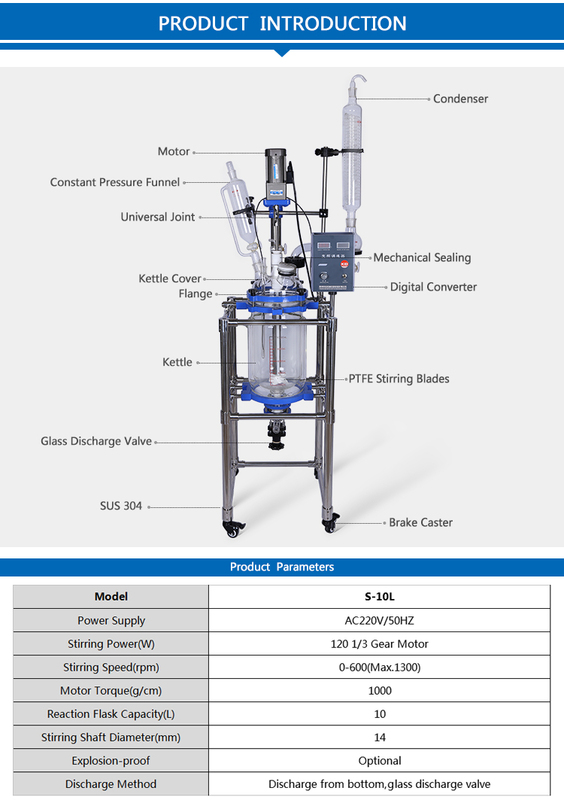 Stirring mechanical sealing, keeps high vacuum degree. 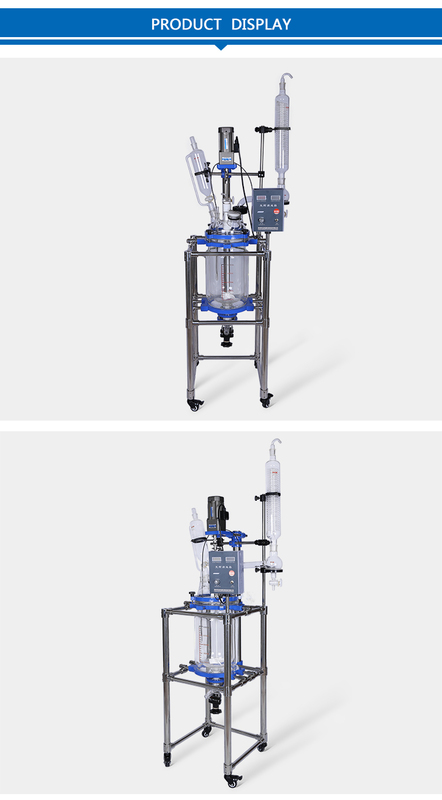 Glass(PTFE)discharge valve, (without dead corner,)no dead angle mixing, fast emptying, no residue. 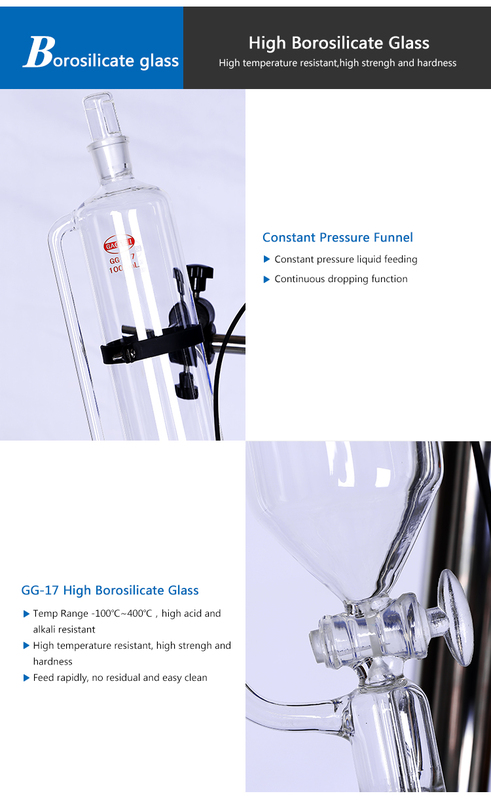 GG17 high borosilicate glass, resistance to strong acidic substance, exiperiment temperature -80°C to 250°C. 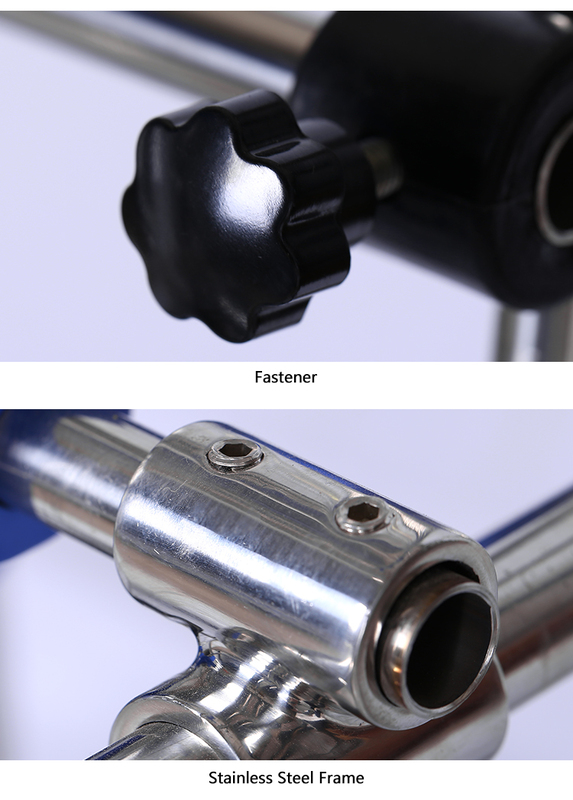 With brake casters, convenient and reliable for moving. 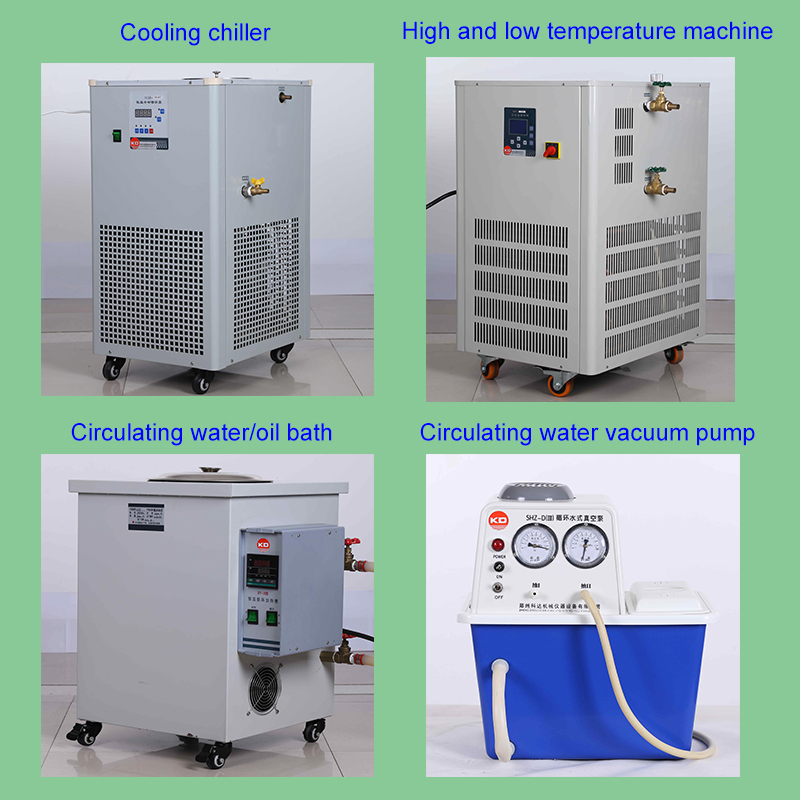 The products can be made into system devices with circulating water vacuum pump, circulating cooler, constant temperature circulator, and heating circulating equipment. 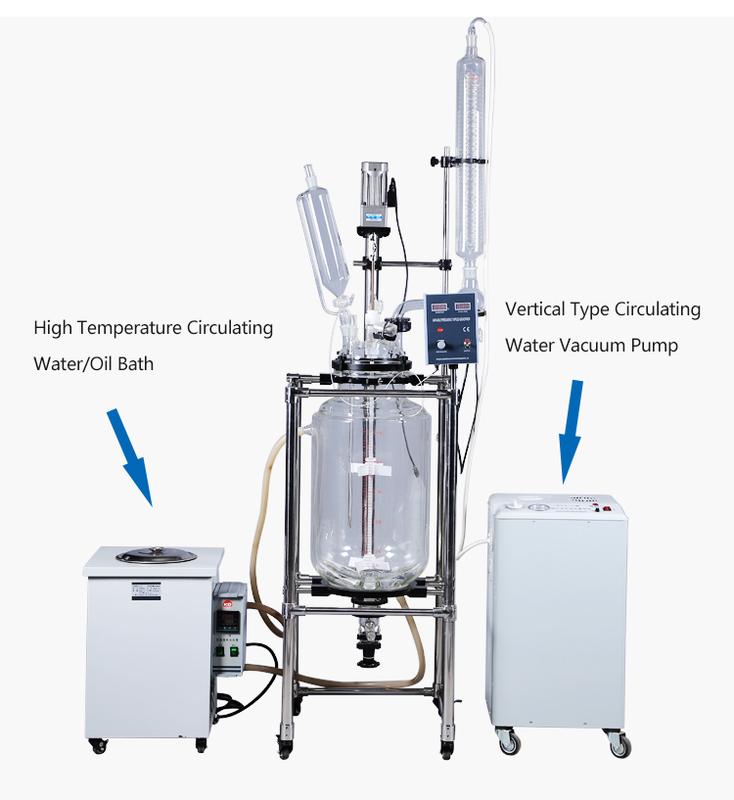 Providing a vacuum distillation condition. 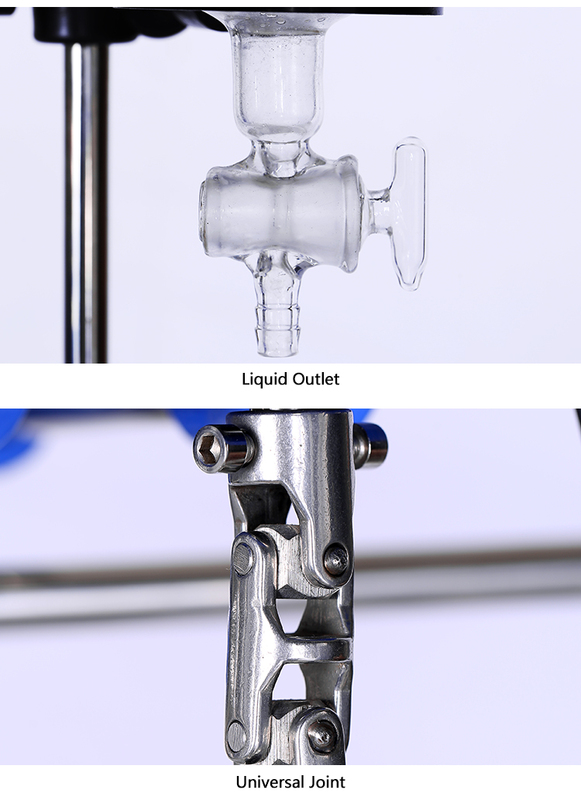 Providing low temperature liquid for condensation. The glass parts will be wrapped with foam, then put into the carton; the mainbody portion will be packde in wooden case. 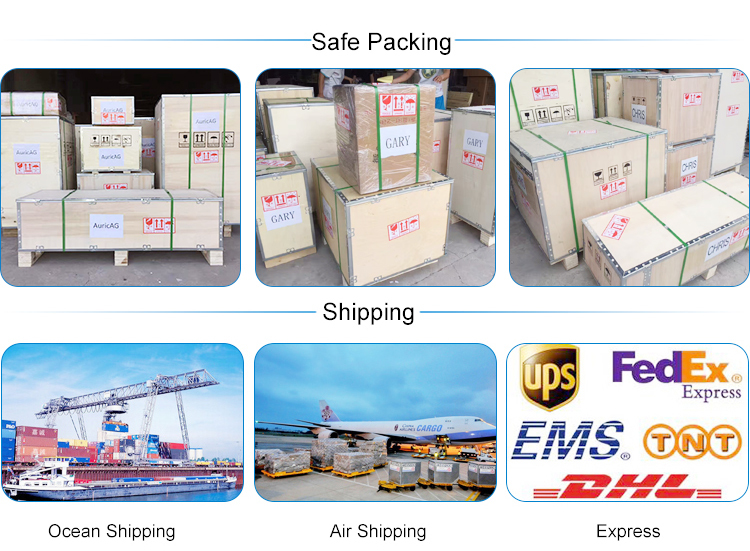 We can ship the goods to you by international express,such as DHL, UPS, TNT and so on. And you can choose the appropriate way based on your timeline and budget. Besides, you can choose to use your own shipping agent. 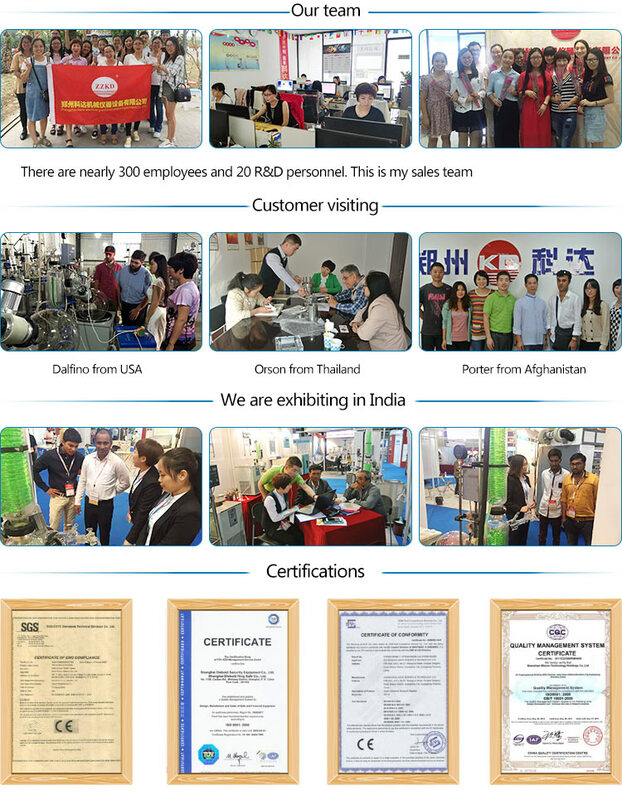 Please send your inquiry details to us.